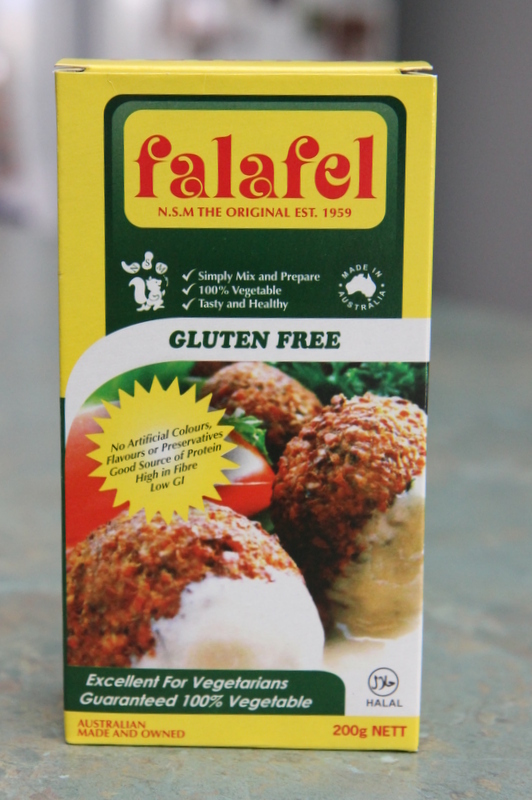 As I was walking around in a bit of a daze, one of the first times I went shopping after finding out about Will’s food allergies, I was delighted to come across this pre-mix for Falafels. It is easy to make, in fact, so easy that it is slightly embarrassing to admit I use it! 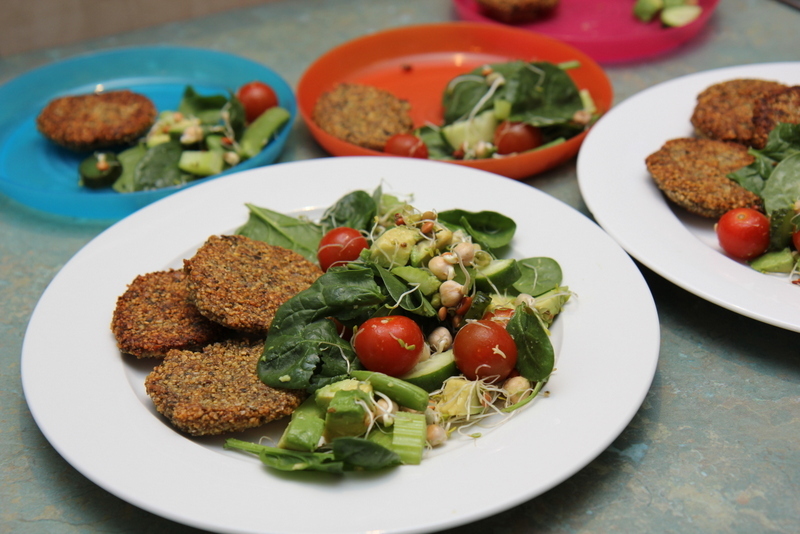 It is made of chick peas, broad beans, garlic, herbs and spices. All you need to do is add water to the dried mix and allow it to absorb for 10 minutes before forming into patties and cooking in a frying pan or oven. You can buy them from the “alternative” or health food section of the supermarket. The one packet costs about $5 and feeds our whole family, making it quite economical. They are delicious, my slightly (ok, more than slightly) carnivorous husband and even Harry – my biggest fuss pot when it comes to dinner – devours them and asks for more. They particularly love to dip them in sweet chilli sauce. We serve them with salad in summer and veggies in winter.